← Underdosing on a Medication: Should We Be Worried? Everyone who wishes to regain strength or to recover from an illness, like elderly individuals, rely on the potency of a medication for wellness. Medicine is the number one cure for pain. With the latest innovations, the range of treatment medicines can do is immeasurable. Scientists and chemists are always looking for a way to improve the effectiveness and potency of drugs. Despite the medication’s healing properties, it also has negative side effects, especially if not handled and stored properly. Storing medications are very vital and need to be adhered to maintain its effectiveness. Handling is often instructed in medication boxes or is discussed by the pharmacy personnel. 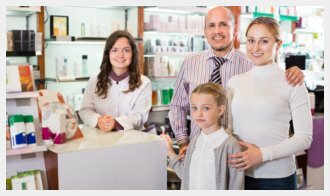 Consumers need to consider a pharmacy who knows the product. When making purchases, it feels good to hear pharmacists educating buyers about drug handling and storage. Temperature, moisture, and direct exposure to sunlight can damage or decrease the potency of a medication. Always keep your medications in a dry place. Note that it has to be kept in a cool temperature all the time. Do not store your medication in the bathroom if you are always using a warm shower or steam bath. The heat can create moist which decreases its potency. Take note that pills and capsules are damaged easily even with minimal heat and moisture. Keep medications in their original containers. Using different containers at home are very common and this causes incorrect drug intake and even a drug overdose. Do not put a cotton ball inside a medicine bottle. Cotton balls only pull moisture into the bottle. Keep medications out of children’s reach. Always put a lock on your medicine cabinet to keep it safe from children. Always note the medicine’s texture, color, and smell. At least one of those characteristics change once medication expires. Tablets and pills that stick together and are harder than the usual are no longer viable. Always check the expiration date of your medicines even by the time that you buy them. Other pharmacies are not that assertive in checking, so always do it yourself. There are a lot of key points that drug consumers need to take note of. These are just some of them. Seek for a pharmacy that is passionate and concerned for the welfare of their consumers. Maxwell Pharmacy, Inc. is the go-to place for your pharmaceutical needs. We offer a cost-effective and high-quality pharmacy in East Harlem, New York. Consumers no longer need to travel to different pharmacies for their over-the-counter and prescription medication. Our drug store in East Harlem, New York has what they need. Do you know of any other ways on how we can safely store medications at home? Please provide your suggestions in the comments section. This entry was posted in Medication, Pharmacy and tagged drug store, Health, health medicine, medical health, medicines, pharmacy medical supplies, Pharmacy tips. Bookmark the permalink.